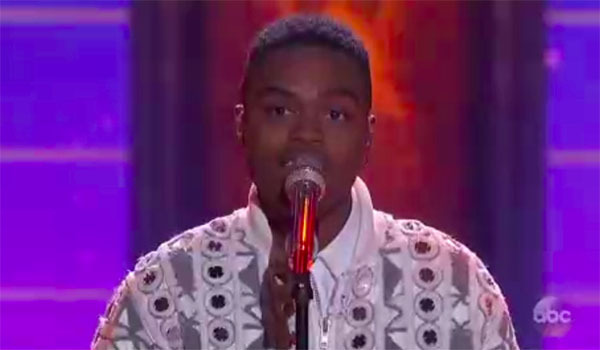 Michael J Woodard sings “Beauty and the Beast” on American Idol Season 16 Top 10 Live Shows Disney Night on Sunday, April 29, 2018. “I love you so much. We all love you so much,” said Lionel. “I love you so much. You really make my heart smile,” said Katy Perry. “You are magical and you’ve been that way since the first time you walk in,” said Luke. To vote for Michael, text 13 to 21523 or vote using the official American Idol Voting App. The Top 10 will be trimmed down to Top 7 before hitting the stage for the third Live Shows next week. What can you say about Michael J Woodard’s performance? Share your comments on the discussion box below.